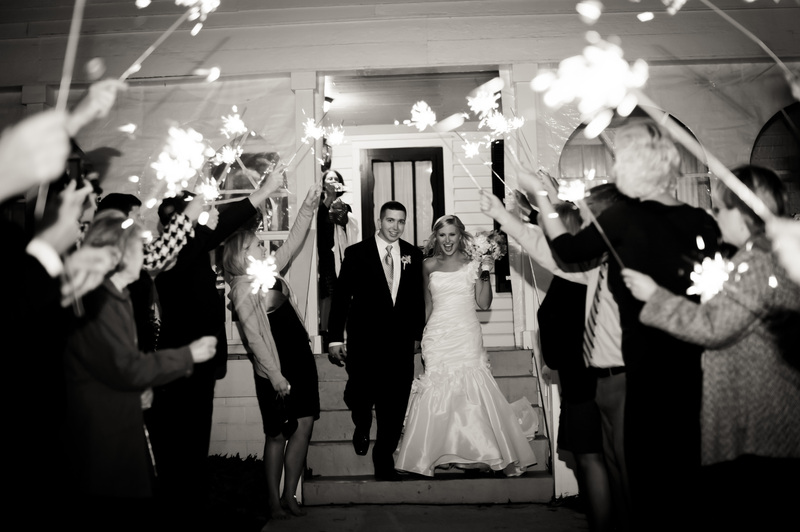 Wedding Sparklers For Sale: Are They Customizable? Let’s face it, going to the same type of wedding over and over again can become very tedious. So when a new-age tradition gets introduced, it is always welcomed with open arms. Now that wedding sparklers have become more popular amongst the younger crowd, couples are looking for ways to make their wedding ceremony stand out from the rest. When looking for wedding sparklers for sale, buyers usually have originality in mind, which is why Wedding Sparklers Outlet offers customizable options. Instead of going with the basic sparkler, newlyweds can choose between heart and star shaped sparklers that come accompanied with custom tags. What’s the Difference Between Party and Wedding Sparklers? When looking for sparklers for sale, many couples have wondered what the main difference is between party and wedding sparklers, and why wedding sparklers tend to be more expensive. For starters, basic party sparklers that are found in dollar-saving stores are not of the best quality, meaning that they burn out quickly, create smoke, and sometimes do not even work at all. Since sparklers are as time sensitive as the perfect photograph, customers choose to spend extra money on sparklers that can burn from 1 to 4 minutes, depending on their length. Also, the wrong sparklers can ruin pictures and set off fire alarms, which will surely put a damper on what is supposed to be a beautiful day. Can Wedding Sparklers Be Used All Year Round? Another frequently asked question is whether or not wedding sparklers can be used all year round, and the answer is yes. Wedding sparklers are not affected by the seasons and will deliver their desired effect no matter what time of year it is. However, weather conditions can alter the functionality of sparklers, especially if rain and heavy winds are present. Luckily, many venues accept the use of sparklers (the smokeless kind) and will happily allow a wedding party to use them indoors, if the weather conditions are not in their favor.